It didn't take long for me as a new teacher to run up against things I didn't know. But as I grew as a classroom teacher and figured out things like pacing, classroom management, planning, and assessment, there was one huge issue that was a recurring need: the need to teach literacy. Training to be a high school teacher, I had learned how to select texts--how to craft essays and projects based on text. But I had learned very little about literacy instruction beyond identifying the correct questions at the end of the text to assign students. I learned quickly that traditional methods like the weekly vocabulary tests I had taken when I was in school were ineffective. I felt I was teaching kids to cheat on tests, not become better readers. On the high school teaching track, I hadn't been trained to be a reading teacher, per se, but I encountered kids who needed more reading instruction once they got to high school. Moreover, I would learn later, the demands of reading beyond the classroom--in college, or in complex technical and manufacturing careers--were growing more challenging, not less. When I looked into the mirror at the end of each year and asked about my teaching flaw. 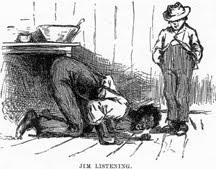 The answer came back, time and again, "You're not yet a good reading teacher." That's why the Common Core State Standards (CCSS) had such a big impact on my teaching. Along with the new standards, came a number of new-to-me strategies such as multiple reads, a greater focus on close reading, and a stronger connection between reading and writing. 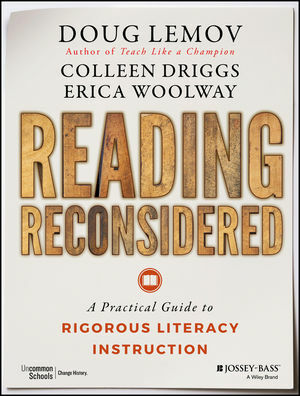 Doug Lemov, Colleen Driggs, and Erica Woolway's new book, Reading Reconsidered: A Guide to Rigorous Literacy Instruction in the Common Core Era, address this reading gap, and they provide concrete practices that ELA teachers (as well as teachers in other disciplines like science, social studies, and art swept up in the Common Core's effect on their own standards) can take straight from the book into the classroom. While the title addresses reading--and it is indeed the primary focus of the book. Reading Reconsidered covers each of the main areas in the Common Core standards: Reading Literature, Reading Informational Text, Writing, Language, and Speaking & Listening. I really enjoyed the specificity of the strategies offered by Lemov, Driggs and Woolway (and the descriptions of sample lessons in text and video that accompany the book). For example, I appreciated the emphasis on revision in Chapter 4, but even more important was a table that listed specific revision prompts that teachers can give their students--a list that I plan to copy and develop further in my own practice. This combination of knowing and practicing can be found in each chapter. The final chapters of the book look toward independent practice of reading skills addressed in the book, an acknowledgement that even the best teaching strategies are ineffective if students can't take learning beyond the classroom--and into college/career-style challenges.Appendices at the end of the book have sample unit plans, further online resources for sections of interests, and useful templates. While I teach 11th-grade ELA, and I plan to use many of the ideas I found in this book, I think it best serves teachers in grades 6-10. The examples found in the book are mostly from 7th or 9th-grade classrooms. One warning: Reading Reconsidered works more as a manual than as literature. As with Lemov's earlier book, Teach Like a Champion, there are many, many strategies here, which take repeated practice and adaptation in the classroom. While teachers may read it alone and try out some of the ideas, this is best read and practiced in a PLC or other format of professional development. It is best read over the course of a semester than over the course of a weekend. A special thank-you to Net Galley for providing a preview copy of this text.